You’ll need fancy dress costumes if you’re going to throw a dinner party for your peers. An elegant dragonfly and butterfly themed dinner party is the next-best alternative to a girls’ night-out if you want to go somewhere fancy for your birthday but your curfew limits your options. Arranging a dinner party means you’ll have to prepare the meals on your own, though. You can’t order takeout and pass it off as a fancy dinner. You have to plan and sort out the details; the menu, invitations, guest list, and ambiance are but some of the elements you should decide on a week before the event. You only need a short list of dinner guests, so you have to mull over your invites. 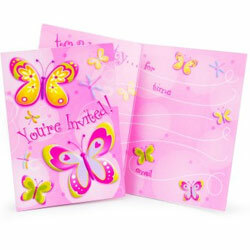 It’s best if you send the dragonfly and butterfly invitations through standard mail or email; you’ll offend people if you hand-deliver these to friends at school. Make sure the invites indicate all the necessary details, including the date and time of the event, the venue, and the dress code. If you can accommodate extra guests, then you could also allow guests to bring a plus one. To keep your attire consistent, you can also offer to rent fancy dress costumes for all your guests, dry-cleaned and delivered a day before the party. The venue should fit the occasion, so you should spruce up your backyard with rented chairs and a long table. You’re better off if you use your hardwood table and chairs in the dining room. 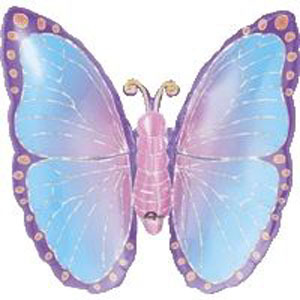 Don’t scrimp on the details; use your best dragonfly and butterfly table cover, and place cushions on the seats for added comfort. Bring out your fine china and cutlery. Use ambient lighting to set the mood. Place name cards on everyone’s reserved spots. You’ll need help with the menu, so you should ask your mom and other relatives to prepare the meals on the morning of the event. The meal should have three courses at the very least, with options for the entrée. Since you can’t serve alcoholic drinks (for obvious reasons), you’ll have to settle for cider or punch instead. Make sure everything is ready by dinnertime. You can recruit the entire family to help you out if they’re up for it. Your father and siblings can easily fill the shoes of the butler and serving staff. 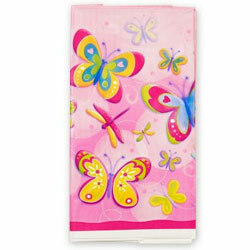 Your fancy dress costumes should fit right into the elegant ambiance. 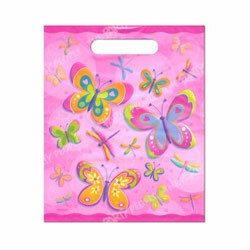 Don’t forget to hand out dragonfly and butterfly loot bags before the evening is through. 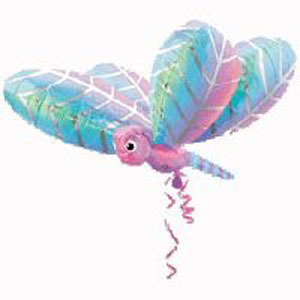 This entry was posted in Birthday Party Theme, Dragonfly & Butterfly Themed Party, Graduation Party, Party Recipes, Party Supplies, Party Tips, Themed Party and tagged dragonfly & butterfly party invitations, dragonfly & butterfly party loot bags, dragonfly & butterfly party table cover, foil super shape balloon - prismatic butterfly, foil super shape balloon - prismatic dragon fly on March 22, 2015 by Vanessa Osborne.